We're shaking off the shackles of January in style. On Saturday the 28th we invite you to our new monthly soiree and end of month blow out. We'll be celebrating all things crafty! 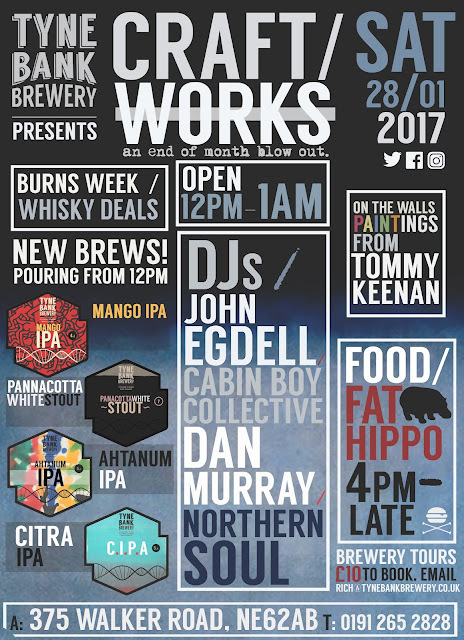 Expect DJs, street food, art and of course... BEER! We have FOUR new, exclusively brewed beers for CraftWorks. Mango IPA 4.1% - A sweet sessionable IPA with a blast of fresh mangos. Panna Cotta White Stout 7% - A white stout brewed with lactose, oatmeal and lemon zest. Ahtanum vs Citra. IPA 5.5% - This is one for you to decide. We brewed an IPA, divided it in half and dry-hopped them both. One with Citra hops and the other with Ahtanum, creating two distinctly different beers and you can decide which you prefer. 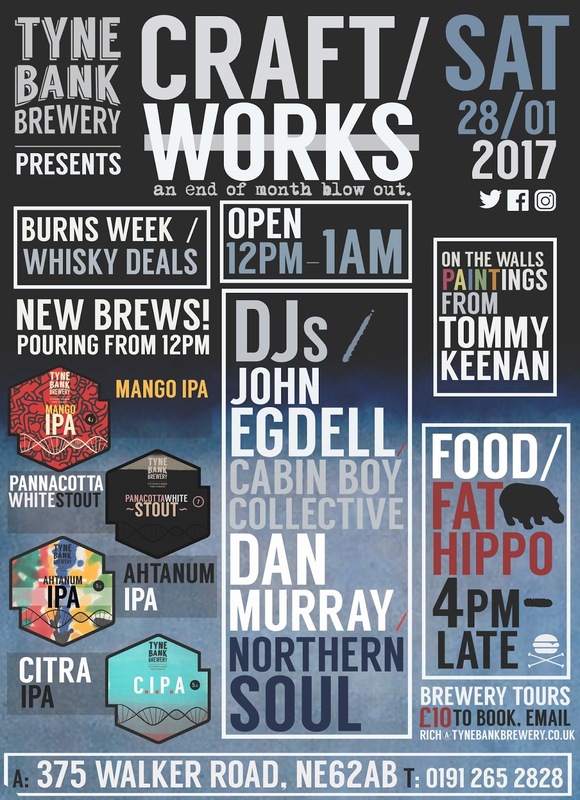 Street food this month comes from our good friends at the Fat Hippo, bringing one of the North Easts best burger joints to our front door, serving from 4pm till late. Spinning the night away on the decks until late will be JOHN EDGELL and DAN MURRAY!